We are the creative guys next door that always dreamed of starting our own t-shirt printing company, creative t-shirt business. With our different backgrounds in technology, art, fabrication, we have put our brains together to create something for our clients that would ultimately become a one-stop-shop for all their screen printing needs and this is where Top Screen Printing company was born. 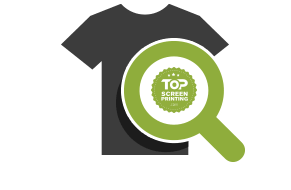 Over the years we have had the experience of working with dozens of screen printing companies. Some organizations specialized in plastisol printing, some in discharge and water base process but each lacked one thing or another, which made it harder for us to do business with. Out of our dire need for a good and reliable screen printing company, in 2014 our idea became a reality. We have decide to start our own top screen printing company and do things right. Not only do what others do, but take it over the top and go the extra few miles and provide things others haven’t even heard of. Going over the top, gave us the perfect idea for our company name for screen printing business. In May of 2014, Top Screen Printing company has been born. What really makes us unique is our ability to provide personalized service for each client and their unique needs. First we start with custom t-shirt design. We design clients t-shirt idea and let our clients focus on their business. We don’t want our clients to play the role of a designer. We believe that everyone is great at what they do, but if you are not a designer, why should you design a t-shirt, right? Next, we discuss and consult with clients the purpose and main usage for their t-shirts and recommend what t-shirt material should be used. Then we make the magic happen by using the top quality inks, not cheap imitations you find elsewhere. 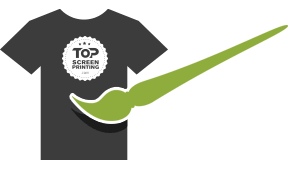 We don’t use the low quality direct to garment (DTG) printing that wears and washes off. Our end product is made to withstand washes and last a while hence you are working with Top Screen Printing company. We welcome you into the world of Top Screen Printing. Are you ready to go over the top? Call us today and see what we can do for you. We start off by discussing your needs and ideas. Then we consult on what colors and options are available and best suitable for your project. Once we have project details for your t-shirt, we start the design process. Our design process takes two business days to complete. With all the t-shirt color quantities and design in place we get started on the printing process. This can take two to five business days. Every t-shirt is checked for quality prior to packaging. Once cleared, each t-shirt is individually packaged in a clear wrap for handling convenience. 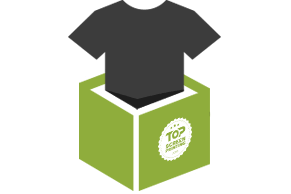 Every packaged t-shirt is individually labeled with t-shirt size and company name, website address, or the model of the t-shirt. With quality control passed, packaged and labeled, all t-shirts are shipped to your address. Typical order turn-around time is 5-7 business days. 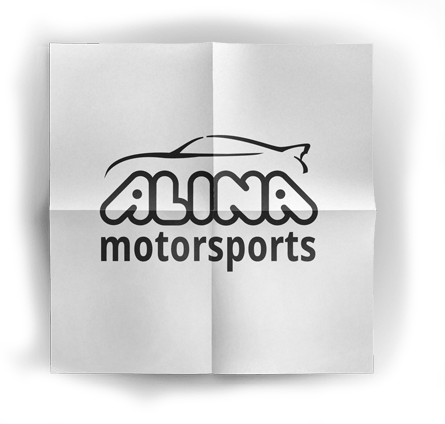 Customer provided us with their logo in a JPG format. Using the customers logo we came up with unique t-shirt design.